Sugar production till 30th November, 2017 in the current 2017-18 SS is 39.51 lac tons. This is about 11.69 lac tons higher than the production in the last season upto the same corresponding period when 27.82 lac tons of sugar was produced. As compared to 393 sugar factories which were crushing sugarcane last year on 30th November, 2016, 443 sugar mills were crushing sugarcane on 30th November, 2017 this year. As compared to 79% higher sugar production till 15th Nov. 2017 vis-a-vis on the same date in previous year, the gap has come down to 42% at the end of November 2017. In Maharashtra, 170 sugar mills have started crushing operations and are running in full swing. As on 30thNovember, 2017, these mills have produced 14.90 lac tons, as compared to 9.42 lac tons produced by 142 mills last year same period. In the case of Uttar Pradesh 110 sugar mills were crushing sugarcane on 30th November, 2017 and have produced 13.59 lac tons till that date. At the end of November, 2016 last year, 103 sugar mills were crushing in Uttar Pradesh who had produced 8.48 lac tons, 5.11 lac tons of more sugar has been produced this year. 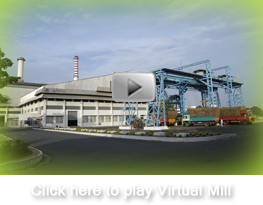 In the current season, most of the sugar mills in U.P. had advanced their date of start of crushing by a fortnight or so and hence sugar production is on higher side. In the State of Karnataka 60 sugar mills were crushing on 30th November, 2017 and 6.82 lac tons of sugar was produced. As compared to this, last year as on 30th November, 2016, same number of sugar mills were operating this time who had produced a similar quantity of 6.80 lac tons of sugar. In Gujarat, 17 sugar mills were crushing on 30th November, 2017 and they have produced 1.80 lac tons of sugar. Last year on 30th November, 2016, 19 mills were in operation and they had produced 1.42 lac tons of sugar. Crushing operations in all the other States have also begun and slowly and slowly the pace of crushing is picking up. The other States have produced 2.40 lac tons in this season upto 30th November, 2017, which in the previous season upto 30th November, 2016 was 1.7 lac tons. Sugar season 2017-18 SS started with an opening balance of around 38.76 lac tons, which is the lowest ever in the last several years. With an anticipated normal sugar production of about 251 lac tons and imports of about 2.85 lac tons (of whites equivalent), the total availability of sugar in the current season is estimated at 292.61 lac tons. Against this, domestic consumption of sugar is estimated at around 250-252 lac tons (growth of around 2.5%). As such, the closing balance on 30th September 2018, is expected to be about 40-42 lac tons i.e. almost equal to the opening balance of this year. The stock holding limit on traders implemented since April 2016 did curtail some of the buying by traders because of which the pipeline has become almost dry. With the Government clearly deciding not to continue with stock holding limit on traders beyond 31st December 2017, there will be buying interests to restock the pipeline, which will give a Philip to the sugar off-take. If however, the Government agrees to withdraw the stock holding limit earlier, the demand will surely improve the market sentiments. There seems to be several sugar production estimates already for 2018-19 sugar season floating in the market. A handful of people have even gone to unnecessarily suggest that the production in 2018-19 SS, which is still one year away will be 290 or even 300 lac tons. As of now, just about 10% of the sugarcane which would be harvested in 2018-19 SS, has actually been planted. The balance 90% of the planting is yet to happen across the country. Therefore, there is absolutely no way as of now that one can understand about the sugarcane acreage for 2018-19 or the yields and recovery thereof to make any kind of estimation for sugar production for 2018-19 SS. In other words, any such figure being suggested by any one is purely hypothetical and theoretical, which is obviously not based on any study or analysis. Experts are aware that weather including rainfall, during June – September before the new season starts, have an impact on the yield of sugarcane as well as recovery of sugar. Without having such details of sugarcane acreage, the distribution of plant and ratoon, distribution of 18 and 15 month crops in the total acreage, quantum and time of rainfall, water availability in the reservoirs etc., any suggestion about sugarcane availability in 2018-19 SS and estimates about sugar production, so early, is not correct and can be misleading to the market. ISMA has been traditionally obtaining satellite images of sugarcane crop in June every year and will do so again in June 2018, to get an idea of the acreage under sugarcane. It will carry out detailed analysis of the weather, water availability, and distribution of the crop to estimate the sugarcane yield and sugar recovery and only thereafter make a proper estimation of sugar production in 2018-19 SS.